After a weekend away in London and a busy week at work, I’m back! And finally getting the chance to blog about my first ever blogging event! Last weekend I endured the gruelling 4.5 hour train journey down to London with my mum and sister to attend the Blogosphere Christmas event. 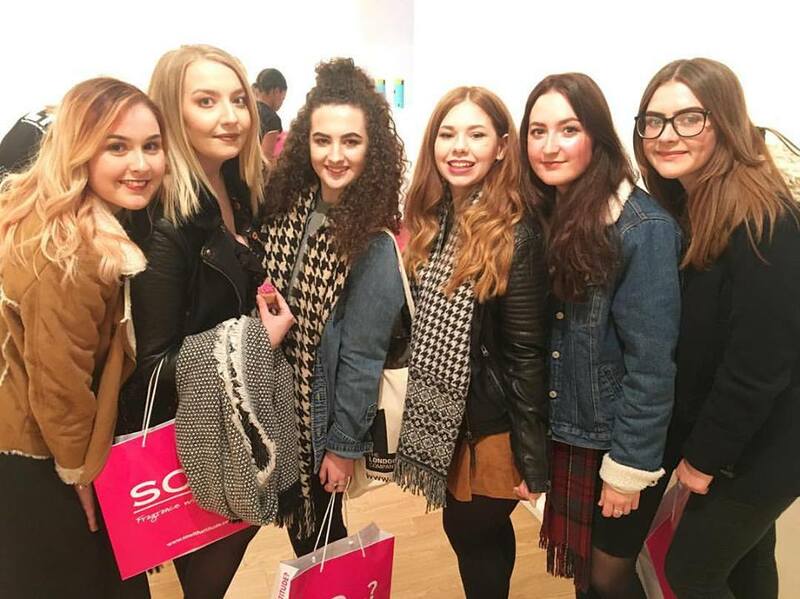 Totally worth the travelling – I met some of my favourite bloggers and some lovely brands! Included amongst these brands were So Fragrances, Latest in Beauty and 7th Heaven. My personal favourite was the London Tea Company; I’m a massive fan of flavoured teas so I was straight over sampling what they had to offer. I also received a generous amount of freebies from these brands, some of which I’ll be talking about within the next week! As previously mentioned, I was given the chance to meet so many amazing bloggers at this event. It was smaller than I had first thought it would be – which actually made me feel a lot better, I was a little freaked out that it would be a huge event and that didn’t sit well with my anxiety. It was so strange meeting the bloggers I interact with on Twitter and look up to in the community, it was like meeting old friends! All the lovely ladies pictured will be linked below. I’m really glad my first event just so happened to be a Blogosphere one. I’d seen a lot of tweets from their Summer Party and had plenty of people tell me how wonderful the people behind it all were; I feel so fortunate to have experienced it all first hand now. I hadn’t previously read a Blogosphere magazine (shame on me!) but after being given the latest copy on my arrival, I will definitely be a regular reader! Inthefrow’s segment has definitely inspired me to be more regular and determined with my blogging. Plus, as a human who loves Christmas more than one probably should, an afternoon of Christmas songs and festivity never fails to impress me. What was your first event like?